The United Nations Conference on the Environment and Development drew over 100 governments together in Rio de Janeiro (3-14 June 1992) to agree action and legal bases for future protection of the environment. 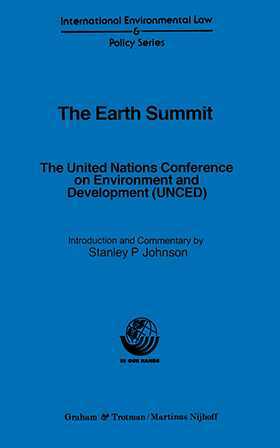 This book elucidates both the UNCED process and the Conference itself by assembling the key documents, including the final version of Agenda 21, and using them to recount how UNCED began, developed and finally, in Rio, came to fruition. Each document is preceded by analytical and highly informative commentary which renders large and sometimes technically complicated material accessible and places it in its correct perspective. This in turn is amplified by an excellent introduction, and a comprehensive index.